Product prices and availability are accurate as of 2019-04-23 09:46:20 UTC and are subject to change. Any price and availability information displayed on http://www.amazon.com/ at the time of purchase will apply to the purchase of this product. 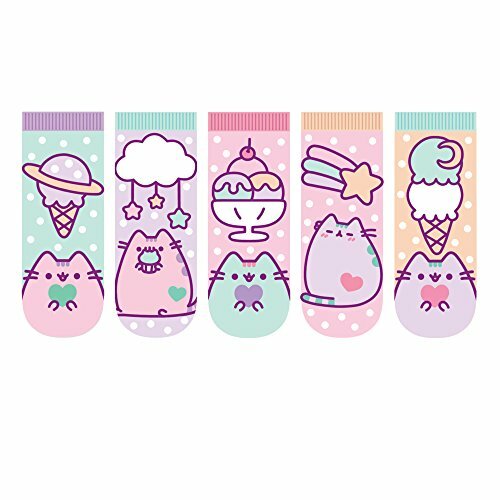 Adorable Pusheen featured on socks eating some of her favorites - ice cream, candy and cupcakes. Includes three pair, each with a cute snackable design. Ladies size 6 - 10. Soft and cozy 95% polyester, 5% spandex. Perfect for cold nights, but essential all year round. Pretty pink designs are highlighted by polka dots and stripes. Perfect for school, hanging out on the couch, eating snacks.